Students walk across The University of Alabama campus. 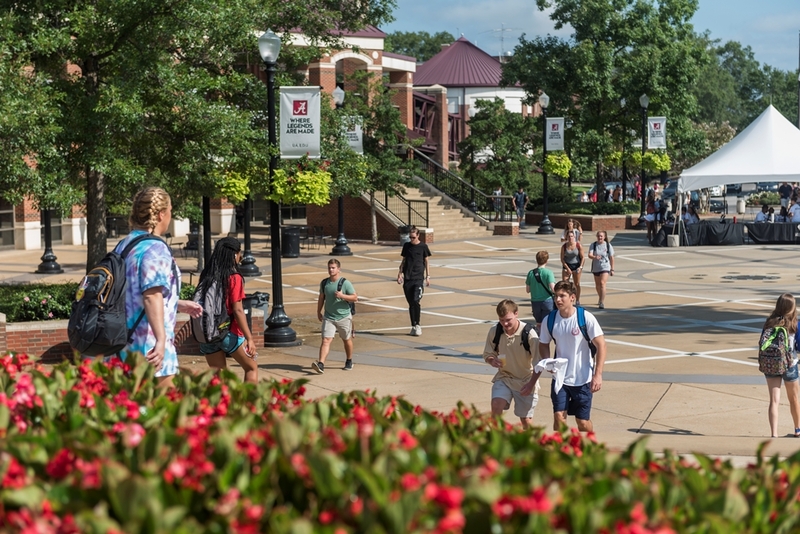 TUSCALOOSA, Ala. — Talented students continue to select The University of Alabama as their school of choice as this fall brings another record year for enrollment along with increasingly impressive credentials. For fall 2017, UA’s enrollment reached 38,563 students, up more than 2 percent from last year’s record class of 37,665. 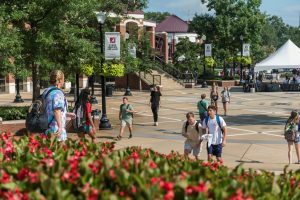 More than 40 percent of UA’s 7,407-member freshman class scored 30 or higher on the ACT and 38 percent were in the top 10 percent of their high school graduating class. The entering class carries an average high school grade-point average of 3.72, with 34 percent having a high school GPA of 4.0 or higher.